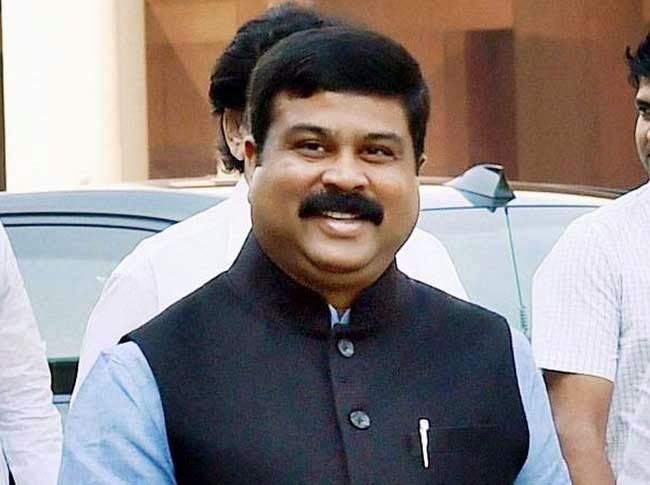 New Delhi : The Minister of State (I/C) for Petroleum and Natural Gas Dharmendra Pradhan, visited Canada from July 4-6, 2015 to participate in the 2nd India Canada Energy Dialogue. The Energy Dialogue was held in Calgary on July 5, 2015. Canadian side was led by Greg Rickford, Federal Canadian Minister for Natural Resources. During the visit, Pradhan also met Rich Coleman, Deputy Premier & Minister for Natural Gas Development and The Michael de Jong, Minister of Finance, Government of British Columbia at Vancouver. He addressed Business Leadership forum separately in Calgary and Vancouver, attended by prominent CEOs/businessmen in the oil and gas, electricity and coal sector of Canada. He also held one to one meetings with select CEOs of various companies working in the Energy sector and energy project financing in Calgary. He visited Southern Alberta Institute of Technology, Calgary, University of Calgary and University of British Columbia and interacted with the faculty and students. Visit of Minister comes as a follow up of the recent visit of Prime Minister Narendra Modi to Canada in April 2015 which created an excellent momentum to expand energy ties including investment in energy and related technologies and services. During various meetings, Pradhan offered to jointly underwrite large-scale energy projects such as LNG and refinery and petrochemical plants and highlighted availability of World standard cost effective and quality EPC companies in India with highly talented manpower who can contribute to the Canadian hydrocarbon sector. He invited Canada’s leading financial institutions to invest in energy infrastructure in India and to cooperate to learn from each other’s experience in energy policy and regulation. He stressed that there is unlimited potential for natural partnership between the two countries. Discussions were also held to further collaborate in areas such as energy efficiency & innovation, oil & gas development, exchange of regulatory best practices and renewable energy. The two sides acknowledged that Canada can become an energy exporter to India and India can diversify its sources of supply from Canada. The Minister highlighted the natural synergy between the India and Canada in the energy sector and referred to various ongoing projects in Canada by Indian companies. It may be noted that IOC is participating in an integrated LNG project in British Columbia, Canada with investment of US$ 1 billion ( which will go up to US$ 4 billion). IOC and ONGC Videsh have already opened offices in Calgary, Canada. Pradhan referred to the recent IMF studies which showed that India was expected to be the fastest growing economy during 2014-2025. In addition, according to the International Energy Agency’s World Energy Outlook 2014, India’s oil demand growth between 2013 & 2040 would be the highest in the world—with a CAGR of 3.5 %. Most of this huge demand was being met by importing petroleum. He also informed about India’s current position as the net surplus country in the production of refined petroleum products and willingness to emerge as a major refining hub. He elaborated on the future plans of the Government in the construction of gas pipelines in India to develop a national gas grid; link the smart cities with piped gas and increase use of gas as a substitute for other forms of energy and developing LNG regasification terminals on the east & west coasts of India. The Minister also witnessed alongwith the Finance Minister of British Columbia the signing of an Agreement of Adherence between IOC and Government of British Columbia at Vancouver which will facilitate IOC’s operation of LNG project in Canada. Pradhan also met Indian Community representatives in Calgary and Vancouver.